In Between Us Girls: Walks and Talks for Moms and Daughters (New Growth Press/June 6, 2016), Trish Donohue shares twenty-six gospel-driven talks to guide mothers through a simple, sustainable way to disciple their daughters. Reading God’s Word together, asking one another questions, and being honest about their struggles, moms and daughters learn new habits and establish lifelong patterns for communicating about what matters most. Q: You describe Between Us Girls not as a devotional, but as a conversation guide for moms and daughters. Tell us more about the format of your new book. The format of the book is designed to take moms and daughters on a walk together: a walk that winds through the crazy terrain of girlhood, is guided by the truths of scripture and offers places along the way to rest and talk. Christian moms desire to be close to their daughters, but too often they find themselves lecturing and correcting — or finally planning a special time together only to realize they aren’t really sure what to talk about. 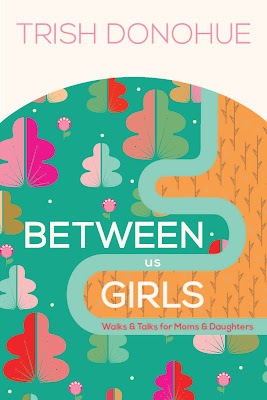 This book includes 26 talks (called “walks” in the book to fit the theme) that moms and daughters can have together. If they meet weekly, they will be done in six months. If they meet bi-weekly, they will finish in a year. In each walk, they will be reading and discussing what God’s Word says about a particular issue, asking each other real life questions (both silly and serious), sharing triumphs, struggles and goals, and making plans to help each other apply what they learn in the coming week. As moms and girls get to know God and his ways better, they’ll get to know each other better as well — just like friends do after they’ve hiked some incredible trails together. Q: How do you recommend moms use this book with their daughters? I recommend setting aside a special time to meet every week or two. They should grab Between Us Girls and their Bibles and find a private place; it could be a cozy spot at home, a coffee shop or a picnic table at the park. A fun drink or snack will help the cause but isn’t necessary. Moms should jump right into the book, reading the chapter to their daughters. 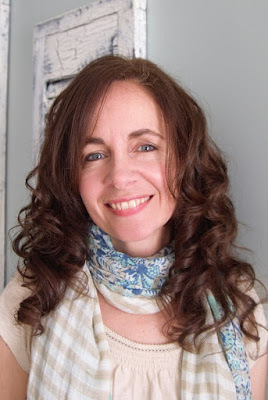 Whenever a question is asked, whether it’s directed to moms or girls, stop and answer it. Each answer will help build trust and fellowship in their relationships. When asked to look up a Bible verse, it’s important to look it up right then instead of waiting for later. The pattern of searching the scriptures together while talking is purposeful. In all situations, moms should want to build a habit of looking to God’s Word first. Shortcuts aren’t allowed; they won’t deliver moms and daughters to the destination! Moms should make a point to talk through the application suggestions offered at the end of each walk as well. They will turn thought into action, and that’s another important pattern to learn. Q: Each chapter or “walk” is organized into four sections. What are the areas you cover during each walk? Each walk explores a different topic, but each moves through the same four sections. After a fun intro, we stroll through “The Garden,” which is God’s original plan for a particular topic. Then we trudge through “The Weeds” section, which shows how sin has made a mess of things. We keep hiking and pass “The Hill,” which refers to the Hill of Calvary, or the cross, and learn how Jesus’ finished work on the cross redeems all things and makes them new again. We finish up in “The Field,” which is where we sow seed, or apply all the things we learned to the practical day-to-day life God has given us. Q: Of all the walks in Between Us Girls, which one would you say is the most important and why? Without a doubt, it’s Walk #2, “Our Foundation.” Both moms and daughters feel the need for many things in life, but the greatest need is to be reconciled to God through the death of his Son. If they get this and nothing else, they’ve gotten the most important thing. But in addition, the gospel gives everyone what they need to live fruitful lives for God. That’s why each talk includes a section on how to apply the gospel to that particular topic. It’s not enough to just help daughters comprehend that Jesus died on the cross for their sins; moms need to teach them how the good news speaks into each situation they encounter. Q: What is the best way for mothers to approach some of the more uncomfortable topics in the book, such as modesty and purity? With candor and confidence. If moms are embarrassed and uncomfortable talking about these issues, daughters will be too. But if moms jump in, explaining that these issues are important just like the others, daughters will most likely follow suit. It’s also important to set an example of vulnerability. Moms can’t ask their daughters to share something personal until they have. Being an example of humility will set the stage and invite their daughters into a safe conversation. Even if they don’t share as openly as they’d like, they’ve still learned from scripture together and opened up a big conversation. That is progress! Q: When a mom and daughter finish Between Us Girls, what do you hope has developed in both of their lives? I hope they will see that the gospel changes all of life, that God’s Word speaks into every situation, that God’s design of girlhood is beautiful, that their relationship is a precious gift, that they know and love each other better than ever and that there are miles of trails to continue to explore together!